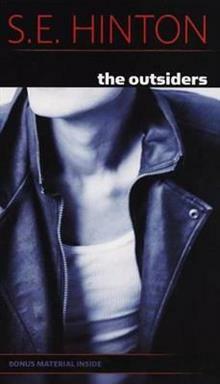 When it was first published in 1967, The Outsiders defied convention with its immediate, deeply sympathetic portrayal of Ponyboy and his struggle to find a place for himself in a difficult world. Written over forty years ago, S. E. Hintonas classic story of the struggle between the Socs and the Greasers remains as powerful today as it was the day it was written, and it is taught in schools nationwide. Now available in a great new package with an improved trim size, a stunning new cover, and bonus material. Designed with classroom use in mind, the new edition will maintain the same pagination as the previous edition.